Suburbs of Jacksonville: Little Rock AFB, Lr AFB, LrAFB, Air Base, Gravel Ridge, JAX, Little Rck AFB, Lr Airforce Base, Macon. 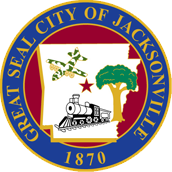 Jacksonville is also known as: Pulaski County / Jacksonville city. Their current mayor is Mayor Gary Fletcher. Zip codes in the city: 72076, 72078, 72099.
eral shops we partner with. Some of the notable people born here have been: Rocky Gray (musician and songwriter), Kris Allen (musician and singer-songwriter), Masuimi Max (actor and model), Jeffrey McLeid (cinematographer and film producer), and Clinton McDonald (american football player). Jacksonville is a city in Pulaski County, Arkansas, United States, and a suburb of Little Rock. As of the 2010 census, the population of the city was 28,364. It is part of the Little Rock–North Little Rock–Conway Metropolitan Statistical Area with 729,135 people as of 2014.The city is named for Nicholas Jackson, landowner who deeded the land for the railroad right-of-way to the Cairo & Fulton Railroad in 1870. The community evolved from the settlement surrounding the railroad depot, eventually incorporating in 1941. In 1941, construction began on the Arkansas Ordnance Plant (AOP), which served as the primary facility for the development of fuses and detonators for World War II. Following the war, AOP ceased operations and the land was sold for commercial interests, including the development of the Little Rock Air Force Base in 1955. Today, portions of AOP still remain, including the Arkansas Ordnance Plant Guard House, which is on the National Register of Historic Places and the Jacksonville Museum of Military History. Despite Pulaski County being an Arkansas county that is not a "dry" county, as it allows the sales of beer and liquor, the municipal limits of Jacksonville are "moist", as it does not allow the sales of alcohol in stores, but allows the sale of alcohol in some restaurants with special permits. It was revealed on December 11th, 2018 that Justine Hensens (Sunday) perished in Olive Branch, Mississippi. Ms. Hensens was 51 years old and was born in Jacksonville, AR. Send flowers to express your sorrow and honor Justine's life. It was revealed on April 17th, 2018 that William Doyle Millican passed away in Jacksonville, Arkansas. Millican was 73 years old. Send flowers to express your sympathy and honor William Doyle's life. It was reported on February 28th, 2018 that Vickie Marie Chandler perished in Jacksonville, Arkansas. Chandler was 52 years old. Send flowers to share your condolences and honor Vickie Marie's life. It was revealed by South West Times Record on November 11th, 2017 that William K Kemp perished in Jacksonville, Arkansas. Kemp was 90 years old. Send flowers to express your sympathy and honor William K's life. It was reported by South West Times Record on June 21st, 2017 that John Edd "Boone" Carlon died in Jacksonville, Arkansas. Carlon was 82 years old. Send flowers to express your sorrow and honor John Edd "Boone"'s life. It was noted by The Daily Citizen on June 7th, 2017 that Frances Aline Eden (Blackman) passed away in Jacksonville, Arkansas. Ms. Eden was 83 years old. Send flowers to share your condolences and honor Frances Aline's life. It was revealed by The Daily Citizen on February 22nd, 2017 that Norman Jr "Bubba" Blasingame passed on in Jacksonville, Arkansas. Blasingame was 59 years old and was born in Natchez, MS. Send flowers to express your sympathy and honor Norman Jr "Bubba"'s life. It was reported by The Daily Citizen on January 29th, 2017 that Millard Wayne Welch passed on in Jacksonville, Arkansas. Welch was 78 years old. Send flowers to express your sympathy and honor Millard Wayne's life. It was noted by The Daily Citizen on January 22nd, 2017 that Thomas Marshall Jr Hilton passed away in Jacksonville, Arkansas. Hilton was 84 years old. Send flowers to express your sorrow and honor Thomas Marshall Jr's life. It was revealed by Arkansas Democrat/Gazette on January 2nd, 2017 that Eddie Comer perished in Jacksonville, Arkansas. Comer was 84 years old. Send flowers to express your sympathy and honor Eddie's life. Jacksonville is a city in Pulaski County, Arkansas County, Arkansas, United States and a suburb of Little Rock, Arkansas Rock. According to 2005 Census Bureau estimates, the population of the city was 30,506, ranking it as the state's 12th largest city, behind Bentonville, Arkansas It is part of the Little Rock, Arkansas Rock–North Little Rock, Arkansas Little Rock–Conway, Arkansas Little Rock-North Little Rock-Conway metropolitan area Statistical Area. Jacksonville currently has a population of about 31,190 according to the 2007 US Census. . .
She is survived by her three daughters, Sandra Williamson of Jacksonville ... 4 p.m. Sunday at North Little Rock Funeral Home, 1921 Main, 758-1170. Graveside services will be held at 11 a.m. Monday in Arkansas State Veterans Cemetery. In Jacksonville, tea party leader and Scott supporter Billie ... officer who not only pays the state's bills but has such other varied duties as regulating funeral homes, overseeing the fire marshal's office and investigating insurance fraud. Moore's Jacksonville Funeral Home provides complete funeral services to the local community. Listing all funeral homes in Jacksonville, Arkansas so you can easily send flowers to any location (same day delivery) or find any funeral service. funerals in Jacksonville, AR 72076 on Yahoo! Local Get Ratings & Reviews on funerals with Photos, Maps, Driving Directions and more.